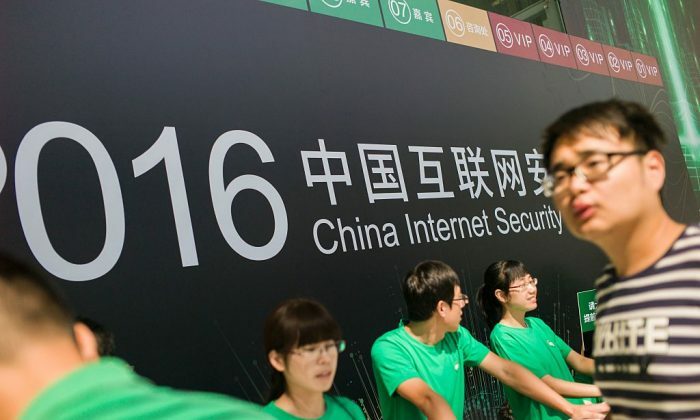 China’s censorship-enabled internet model is spreading beyond its borders, at a time when more and more people in the world are gaining access to the internet, according to a new report. Michael Pisa, a policy fellow at the Washington-based think tank Center for Global Development (CGD) and former senior adviser to the U.S. undersecretary for international affairs in the Department of the Treasury, published a Feb. 5 report on worrying developments as the internet becomes more readily available to developing countries. Facebook and Google, in particular, have made inroads in developing nations. Facebook now has 2.3 billion monthly active users who live in Africa and Asia, while Google operates domains in about 200 countries and territories, with an estimated global market share of up to 92 percent. In addition, more than 2 billion devices worldwide are powered by Google’s Android operating system, according to the report. But a more pressing concern is that those countries could be attracted to China’s restrictive internet model. “An increasing number of governments have shown an interest in adopting China’s authoritarian [internet] model, which uses digital tools to support surveillance and stifle dissent—and Chinese officials appear eager to share their expertise,” the report stated. One example of such a demand is when Beijing pressured international airlines to remove all references to Taiwan from their websites and promotional materials. The Chinese regime considers Taiwan part of its territory, even as the latter is a full-fledged democracy with its own elected officials, constitution, currency, and military. The demand by governments such as India and Vietnam for “data localization,” a policy pioneered by China that requires international companies to store data in local servers, is also a concern, given that it will “raise the cost of doing cross-border business,” the CGD report stated. It also questioned the validity of a cybersecurity claim for having such policies. The U.S. Chamber of Commerce and the American Chamber of Commerce in China, in a joint report published in January, called on China to remove its data-localization policies, arguing that the policies “limit access” to Chinese markets for U.S. digital products and services. In connection with China’s internet model is the fact that Chinese companies have been building telecommunications networks and supplying surveillance technologies in many countries. For instance, Chinese tech giant Huawei is building a Wi-Fi network in Mexico, as well as Bangladesh’s 5G mobile network and Cambodia’s 4.5G service, according to the Freedom House report. In Zimbabwe, Chinese artificial intelligence and facial recognition company CloudWalk signed an agreement to build a national facial-recognition database and monitoring system. “As more of the world’s critical telecommunications infrastructure is built by China, global data may become more accessible to Chinese intelligence agencies through both legal and extralegal methods,” the Freedom House report warned. Evidence showing guilt of hackers could be used by the Chinese regime as a road map to conceal state-run cyberattacks. PoPs set up by China Telecom in the United States and beyond allowed China to redirect internet traffic and steal sensitive information it wanted.